I was in college when An Inconvenient Truth came out. After seeing it, I remember thinking “Man, that sure does sound like a pretty bad problem…I hope the scientists can figure it out!” The raw truth of what is happening was too massive – and painful – for me to allow it to penetrate into my daily life. It would take another film, Godfrey Reggio’s Koyaanisqatsi, to wake me from my comfortable, ignorant slumber. The broad theme of that film, a rumination about humanity’s relationship to nature and technology that contains no dialogue, is “life out of balance.” It cemented a conviction that I carry with me today: things don’t have to be this way. Film was a significant part of my life at the time. I graduated from Austin College in 2009 with a degree in Communications (Media Studies emphasis), and within a few months was working for a local TV station, KXII-TV, as the technical director and production supervisor for the morning shift. I am a Denison native and felt right at home in local TV. After a few years, I moved into a commercial production role at KXII. I couldn’t get our ecological problems out of my head, though, and I knew I wasn’t doing much to contribute to the solution. Sustainable lifestyles involve living in ways that are fundamentally different to the way most of us live right now, and I had a sneaking suspicion that sustainable lifestyles are more satisfying and contented, in addition to not being a burden on the Earth. I knew there were people out there exploring these lifestyles (Transition Towns, ecovillages, homesteads, the Tiny House movement, etc. ), but I didn’t know how to get started or how I could explore these alternatives without making a hefty investment. That’s when I discovered Help Exchange. Help Exchange is a website that connects designated hosts all over the world with volunteer helpers. It’s very similar to WWOOF (Worldwide Opportunities on Organic Farms). You’re expected to do 5-6 hours of labor, 5 days a week in exchange for room and board. 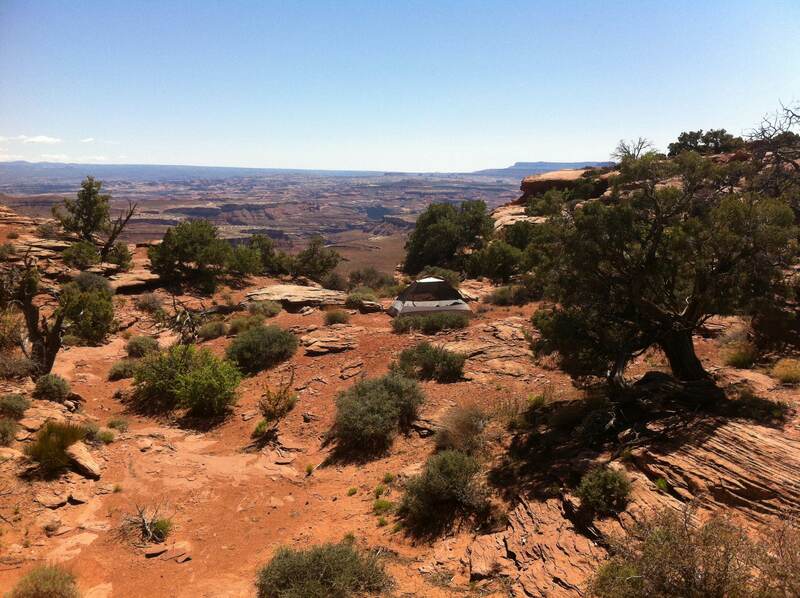 I began spending idle time clicking through HelpX listings all over the Western United States and daydreaming. Near the end of 2015, I finally took the plunge – I quit my job at the TV station and declared my 2016 a belated, long-awaited gap year adventure that would afford me ample opportunity to directly experience homesteading and off-grid living. It was like discovering a desert oasis as a man dying of thirst. The experience was even better than I expected. I climbed Emory Peak in Big Bend National Park, visited the Grand Canyon and Utah’s Canyon Country for the first time, and slid down sand dunes near Death Valley (in additional to a good bit of camping). 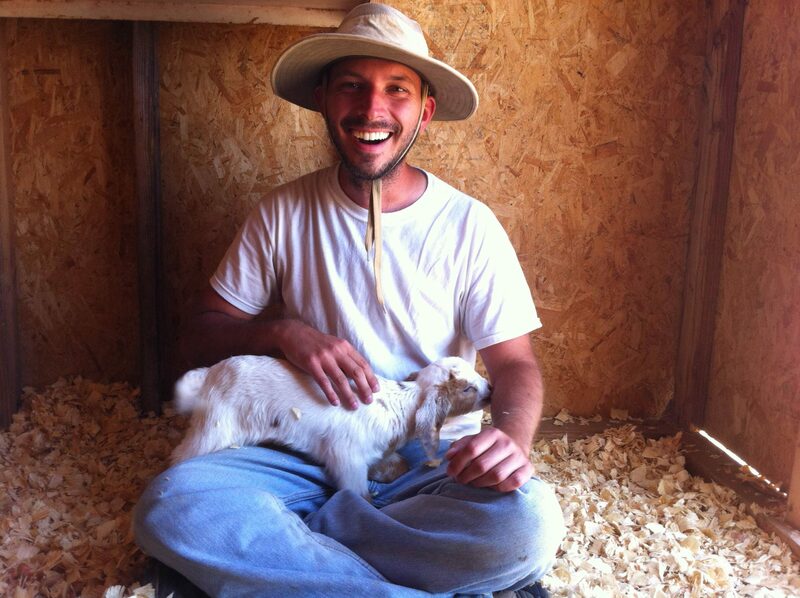 I lived on an off-grid solar-powered farm in Arizona for nearly two months, helped build a tiny house, and learned how to manage a dairy goat herd in the hills outside of Hollister, California. Most importantly of all, I met a number of incredible people who are living more sustainably, people whom I now count as friends for life. I made it as far as Brookings, Oregon (about 6 miles north of the California border) before deciding it was time to come home. A few short months after getting back to Texas, I saw the listing for the Environmental Studies Coordinator job and knew it was the job for me. I’m delighted to be back at my alma mater working with a great group of people. I’m eager to get my hands dirty out at Sneed Prairie and can’t wait to see what the next step is for the Center for Environmental Studies. It feels great to contribute, and the students are a constant source of fun and inspiration. It’s also great to settle down in the place that has always been home to me. In the coming years, I hope to purchase some land and start my own sustainable homestead. It will be fascinating to approach sustainability from two halves of a whole: how to build a sustainable community and institution at my job, and how to build a sustainable personal life at home. I relish the challenges ahead! We are accepting applications for the Coordinator of our Center for Environmental Studies! Baptisia blooms at Sneed Prairie. If you or someone you know may be interested in applying for this position, click here for more information on the job requirements and application procedures. The position will remain open until filled. Please feel welcome to contact Dr. Peter Schulze, Director of the Center for Environmental Studies, or Alex Ocañas, our current coordinator, with any thoughts or questions regarding this topic.